To reduce delays when a patient is medically ready to return home from hospital. Improve staff satisfaction: staff are not pressured to transfer patients at the “last minute”, or experience bed-block on Monday due to transfers not occurring over the weekend. 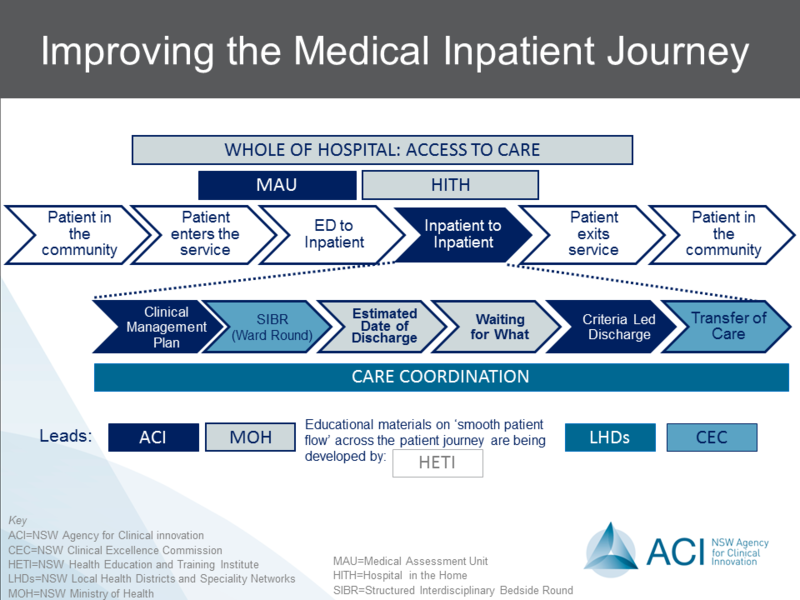 The Acute Care Taskforce is currently focused on improving the medical inpatient journey. Planned transfer of care, in partnership with the patient, their families and/or carers, as led by CEC . Baseline patient and staff experience is collected at each implementation site and will be revisited at 3, 6 and 12 month intervals, as required. A full implementation plan will be published in June 2014.